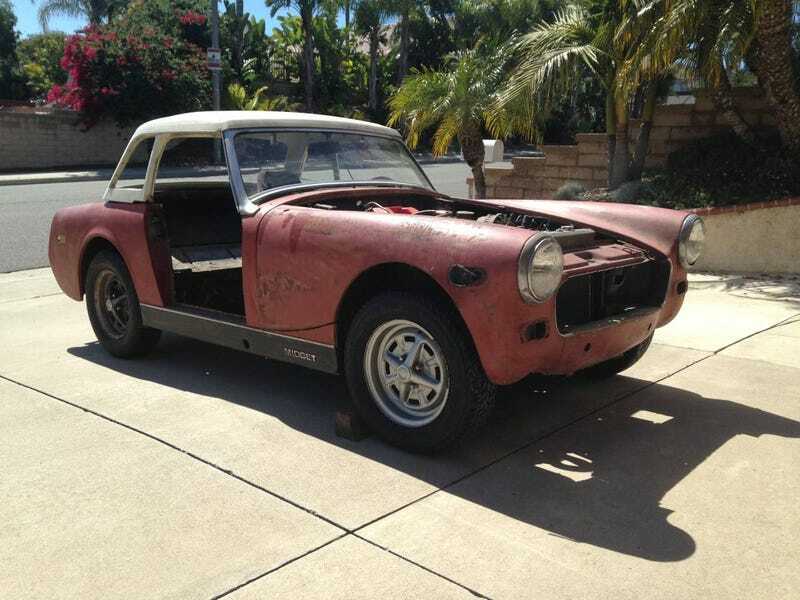 Which of you put a rotary engine in an MG Midget? The perfect storm of quirkiness and maintenance. I used to have a 1965 piston-engine Midget, and this rotary one is stirring up all kinds of want. The 12A rotary engine. It’s all there and ready to go. This goes against ALL rational advice about project cars ever. Rotary engine? Yes. Old and British? Yes again. Someone else’s project? That too. What do all y’all think of this thing that exists?